Fish hooks and fishbones dating back 42,000 years found in a cave in East Timor suggest that humans were capable of skilled, deep-sea fishing 30,000 years earlier than previously thought, researchers in Australia and Japan said on Friday. 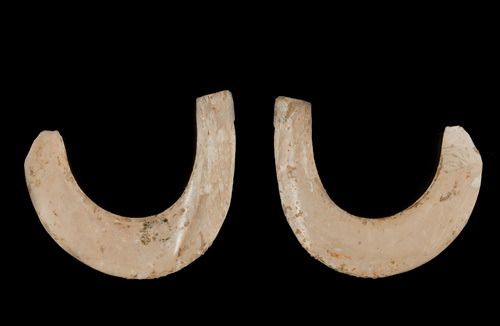 The artefacts -- nearly 39,000 fishbones and three fish hooks -- were found in a limestone cave in Jerimalai in East Timor, 50 metres (165 feet) above sea level, said Sue O'Connor from the Australian National University's department of archaeology and natural history. "There was never any hint of (what) maritime technology people might have had in terms of fishing gear 40,000 years ago," O'Connor, the study's lead author, told Reuters by telephone from Canberra. "(This study showed) you got ability to make hooks, you are using lines on those hooks. If you can make fibre lines, you can make nets, you are probably using those fibres on your boats." "It gives us a lot of information on how people subsisted on these very small islands on their way to Australia," she said. Modern humans were capable of long-distance sea travel 50,000 years ago as they colonised Australia, but evidence of advanced maritime fishing has been rare. Researchers until now have only been able to find evidence of open-ocean fishing up to 12,000 years ago. O'Connor and her colleagues, who published their findings in the journal Science, found the bones and hooks in a 1 sq metre "test pit" in the cave, 300 metres (985 feet) from the coast. "All the bones we got inside were just the result of human meals, 40,000 years ago," said O'Connor. "They were living in that shelter and we are fortunate that all the materials are preserved so well in that limestone cave, which preserves bone and shell really well," she said. The fish hooks were apparently made from the shells of the Trochus, a large sea snail. "They are very strong shell ... we think they just put bait on and dropped the hook in the water from a boat (at the) edge of a reef," O'Connor said. The fish bones were traced to 23 species of fish, including tuna, unicornfish, parrotfish, trevallies, triggerfish, snappers, emperors and groupers.